I didn’t have much of an impression of Denmark prior to visiting Copenhagen. I remember watching “A Royal Affair” which tells the story of Princess Caroline Matilda, Queen to Christian VII of Denmark and her affair with the German doctor Johann Friedrich Struensee. It spoke of a time where Denmark made a progressive turn in their policies and grew as a country. But I was also mesmerized by the Danish language. Having learned German for 1.5 years there are some similarities in these languages so I thoroughly enjoyed being able to understand certain things. With fresh Danish Krone in my hands, I flew with Lufthansa from Munich to Copenhagen. The weather in Copenhagen was absolutely lovely, around 20C and Sunny with a light breeze. I’ve always thought of Amsterdam when people mentioned bike-friendly cities, but Copenhagen is definitely comparable. People were riding bikes everywhere, and even the trains were adapted to carry bikes. After checking in, I went straight to the Little Mermaid Statue, how could I not? 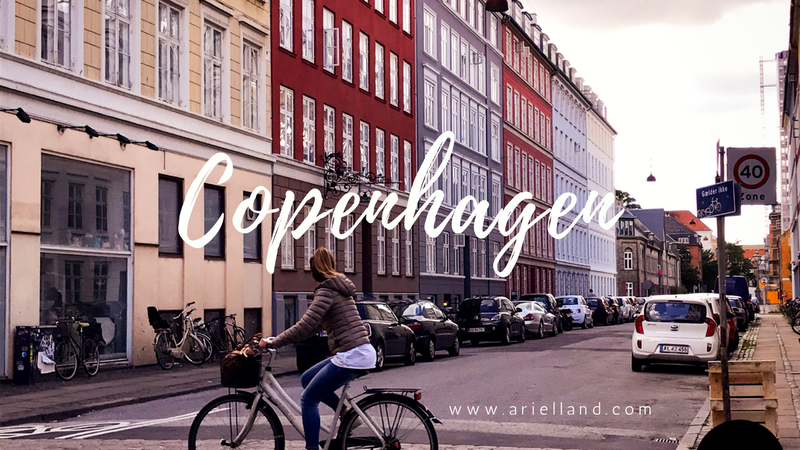 I think all of the tourists in Copenhagen gathered at 2 places – the Mermaid Statue and Nyhavn. The statue was virtually surrounded with people. Someone even jumped into the water just to get on the same rock as the statue. I took a quick “I’ve been here” photo and proceeded to walk over to Nyhavn. The architecture here in Copenhagen is just such a delight on the eyes. They were all covered in colorful paint. I even saw someone rolling on the pain, maintaining a nice clean look to the city. It is incredible how clean and tidy this city is, I can’t recall seeing any trash on the ground. I ended up having a late lunch and dinner at Nyhavn, and walked around the streets nearby. There are a lot of small unique shops, some with homeware, independent designer art pieces etc I just love how artsy and creative this city is. And because it is summer here, the sun doesn’t set until around 9:30pm, so there is a lot of “day time” you can use to wander around. Over the next 2 days, I’ll be visiting Frederiksbourg Castle, Amalienborg, Rosenborg, and Christiansborg Palace, which I’ll cover off in separate blog posts as each of them are such amazing places. But before that, there are 2 more places in town I’d like to mention: Round Tower & Stroget. This is a 17th-century tower in city center which is about 7 floors (35m) up via a spiral ramp. The top is an observatory, meant for observing stars back when it was built. Now it’s a nice high up building where you can get a decent view of the city from the top. Similar to the New Town Hall in Munich and St Paul’s Cathedral in London, I’ve chosen this spot to get a nice city view. Yes I know, this is a bit touristy. But this street is very handy if you are in city center and are looking for a place to grab a bite to eat, or to do some souvenir shopping for friends and family back home. Stay tuned for pretty Palaces and Castles of Denmark! If ever in my life I got a moment to roam then Malmo is a must visit, such beautiful places are there that it makes me fall into love. Great images! Thank you, Malmo blog post is a different one, this one is Copenhagen ;) Need some "Blog Post research help?"